A spectator who was injured in a 2013 NASCAR crash at the Daytona International Speedway recently settled with the racing company, prior to the collection of depositions and other extensive discovery. The terms of the agreement are confidential, which means we don’t know how much the spectator received from the company for its alleged negligence. What we do know is that the move was most likely strategic by NASCAR, given that settling at this juncture meant it was able to avoid enduring driver depositions, as well as making fencing and crash reports public. According to ESPN.com, plaintiff sued International Speedway Corp., parent company of the Daytona International Speedway. The complaint detailed how plaintiff, a resident of Florida, was seated in the upper deck, watching a race, when he was suddenly and unexpectedly struck in the head with a heavy piece of debris. As a result of the incident, plaintiff suffered catastrophic traumatic brain injury. The debris that struck him was the result of a crash that occurred when driver Kyle Larson’s vehicle went airborne and slammed into the catch fence. Plaintiff wasn’t the only one injured. A total of 30 fans were reportedly hurt. Still, plaintiff’s injuries were among the worst. His brain injury was permanent, and he will require intensive medical care for the rest of his life. He reportedly has a full-time health care advocate and continues to receive regular care at a local rehabilitation hospital. The settlement notice came soon after plaintiff’s attorneys filed notice of plans to depose six drivers, including Dale Earnhardt Jr., Kyle Busch and Kyle Larson. Each of the drivers slated for deposition have been vocal advocates of safety in the sport or served on the driver’s council. All but one raced on the day in question. 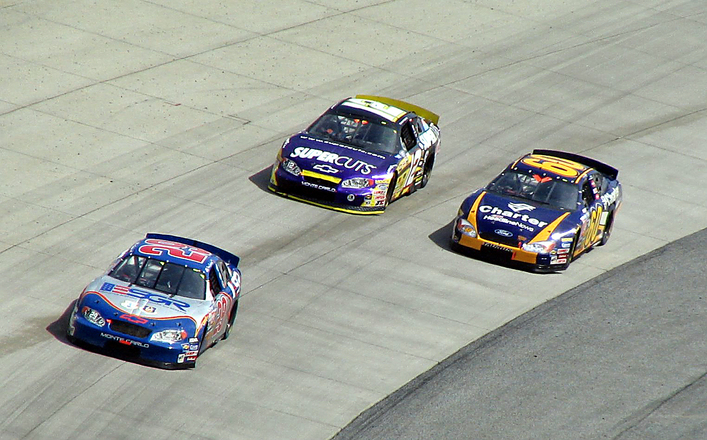 Drivers would have had the option to argue against the necessity of an individual deposition, but the judge overseeing the personal injury lawsuit had already denied NASCAR’s request to postpone the sworn interviews. An attorney for plaintiff said the planned deposition “certainly” could have been one of the reasons the company opted to settle. Although the company assigned several skilled safety engineers to reconstruct the accident and analyze the track, it refused to release those documents to plaintiff’s attorney, arguing the records were part of a confidential work document. Essentially, the argument was the report would not have been created if not for the consideration of legal matters, so they are protected by attorney-client privilege. The scope of that analysis included the design and various elements of the track’s fencing. Since the accident, spokespersons for the company have declined to give any insight into how the crash happened, except to detail some of the alterations made to the fencing around the track. An attorney for plaintiff told ESPN that such litigation is needed not just to uncover what happened and why, but to make sure all fans are protected when they attend these events. As our injury attorneys know, it can be difficult to assert a claim for compensation for injuries at a sporting event. That’s because there are certain inherent risks in attending sporting events, and owners and organizers often have limited duties of care to fans – particularly when certain warnings are disclosed on tickets, as they often are. However, this case shows that such matters can still be worth pursuing.